We are delighted to intrduce our new design for 2018, these gorgeous ‘Kate Middleton earrings’ based on the design she often wears. While Kate wears gold hoops with diamond and rhodium insets, we have chosen a simpler, chic 9ct gold hoop with detachable pearls drops which give lots of movement and style. 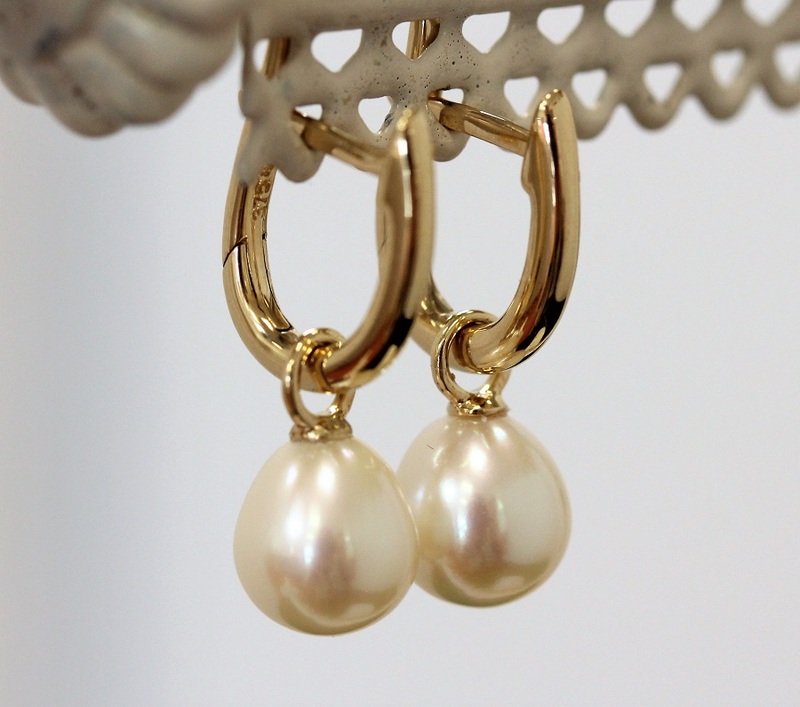 You can choose between lovely round pearls or teardrop pearls in 9ct gold settings. 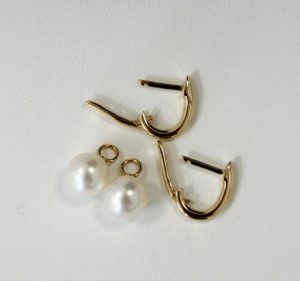 We are also introducing a range of new diamond and pearl earrings in response to customer requests. You all love to wear more expensive jewellery and we love to make it for you!